Don’t stay in that place of burnout, excuses, exhaustion, and mediocre leadership. You will end up not leading the way God intended for you to lead. Your ministry will suffer. The teams you lead will suffer, and your calling will not be as fulfilling as it once was. Jesus desires so much more for you, and those you lead need so much more from you. Do you have a kid from a single-parent home in a two-parent family? What…… huh…. did you read that correctly? A single-parent kid in a two-parent home? How can that be? According to AECF.org thirty-four percent of all kids in the US are in a single parent home. It’s Sunday morning and Bobby shows up at your church. You start the intake process and suddenly realize that he may require some special support. He has special needs. But it’s okay, because you are ready! You have carefully thought through some of the potential challenges and safety issues and you have a plan. If you don’t have a plan, YOU CAN! Don’t wait until these kiddos come to put a strategy together. Be intentional and start thinking about it NOW! While disabilities may vary and can be mild or severe, here are 10 things for consideration to make your ministry a safe place for kids with special needs. Kids Are Not Called to Be Bench Warmers—They Have a Calling to Serve Now! The God-given gift of story in children begs the question: What would it look like if children understood that they are a part of the greatest story ever told—God’s story? Every children’s minister I know wants their ministry to grow. I believe God wants your ministry to grow as well. In order for your children’s ministry to grow you must be willing to grow in your leadership abilities. Individual growth always comes before corporate growth. The number one key to making growth happen as a leader is evaluation. Change will never take place without constant evaluation. If you don’t identify ways that you can grow as a leader you’ll never reach your next level. Camp is such an important piece in a kid’s spiritual journey. Many of us learned to hear the voice of God at camp, we were called into the ministry at camp, and we were filled with the Holy Spirit at camp. Let’s make getting kids to camp a priority for us, for their parents, and for them! 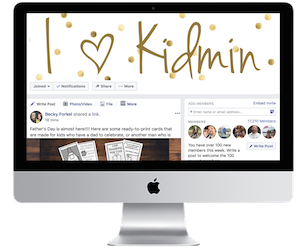 How many of you have experienced that certain child that seems to create distraction, ignore redirection, and generate chaos in your ministry? A few faces come to my mind that meet those dubious criteria. Behavior always communicates and sometimes it shouts at us from the back row during worship time! Unfortunately, many times these undesirable behaviors are conveying trauma that too many children in our world have been exposed to in varying degrees. JOIN OVER 20,000 OTHERS IN OUR FACEBOOK GROUP! JOIN 500,000+ others WHO VISIT OUR PINTEREST BOARDS EVERY MONTH! 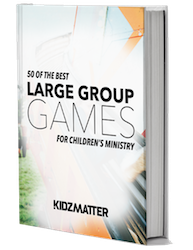 GET 50 GREAT LARGE GROUP GAMES FREE WHEN YOU JOIN OUR EMAIL LIST!